A team of researchers working at the University of California Irvine has accidently invented a laptop battery that has the power to seemingly last forever, and it could change the landscape of commercial computing forever. Usual laptop batteries have a charge cycle that supports between 300 and 500 uses from zero battery to full charge before eventually failing or degrading beyond safe use. The UCI nanobattery, however, supported 200,000 charge cycles in test conditions over a three month period. It performed, “with 94–96% average Coulombic efficiency,” according to the team behind the wonder battery - in other words, it was still operating like a near brand new one at the end of it. It's a pretty impressive set of figures, especially when you consider it was discovered by pure chance. 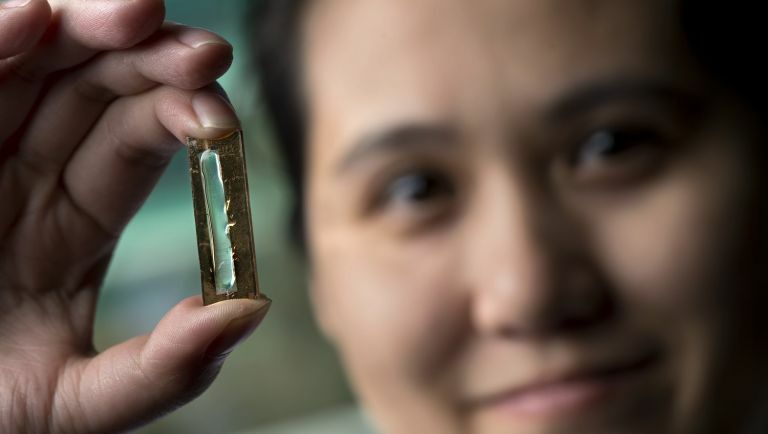 UCI doctoral candidate Mya Le Thai was the one who made the accidental invention a reality when she coated a set of gold nanowires in manganese dioxide, then applied a, “Plexiglas-like,” electrolyte gel. These nanowires usually degrade after limited use, but when the researchers at UCI tested Mya's versions, they found they were almost entirely intact and ready for further use. Sadly, the nanobattery itself is still very much in the developmental stage, meaning it's probably a long way from intergration into the commercial market, when it finally does see the light of day it could change the landscape of laptop battery use (and much more) forever.